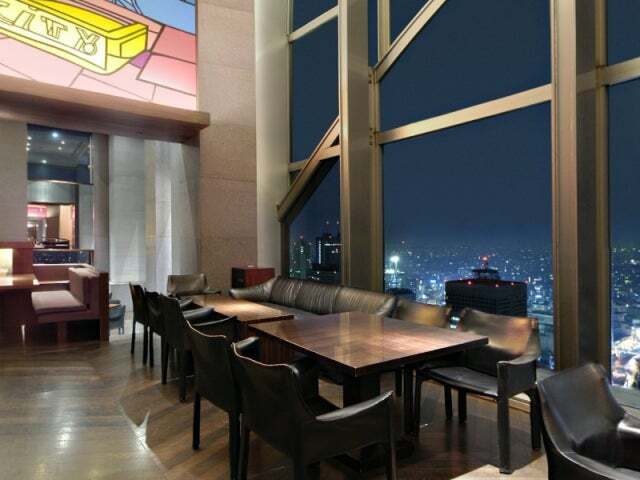 On the 52nd floor of the Park Hyatt Tokyo, 235m up in the air, sip a cognac or glass of California wine up here and you’ll feel like James Bond at large in Japan. Rated by Wallpaper* magazine as one of the best roof-top bars in the world, it’s done up in dark wood, with ebony chairs, walnut floors and floor-to-ceiling windows. On clear days you can see Mount Fujiyama and as night falls the neon lights up Shinjuku like something out of Bladerunner. Food includes New York-style grilled sirloin and mash or wild mushroom, truffle brie and thyme pizza. 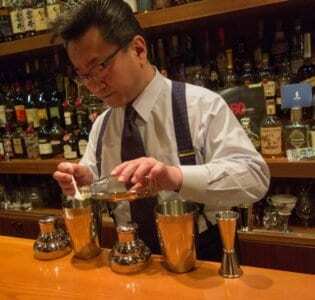 The bar also offers great cocktails and the largest selection of American wines in Japan! 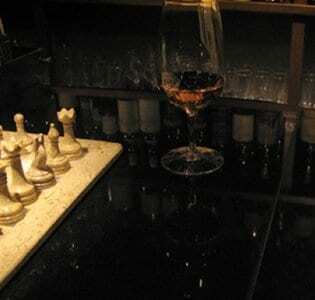 And they have more than 40 liqueurs, 15 cognacs and a huge variety of whiskies, gins, rums and tequilas. Glad you could make it Mr Bond….